The probability that there is life out there increases: NASA’s new telescope, Kepler, has discovered five giant new planets outside the Solar System. to find another Planet Earth out there. 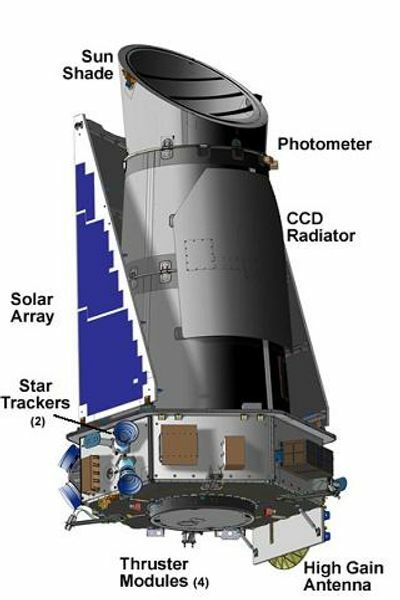 Launched from Cape Canaveral on 6 th March last year, Kepler was designed to scour the Universe for evidence of planets with characteristics similar to those of Earth. So that one day Mankind might have a safe haven in 7.5 billion years time when our Sun explodes, that is if he has not destroyed the planet himself long before that. The latest discovery was announced in Washington at a meeting of the American Astronomical Society and has been confirmed by terrestrial stations linked to Kepler: namely the telescope’s first finding: five giant planets outside our Solar System. 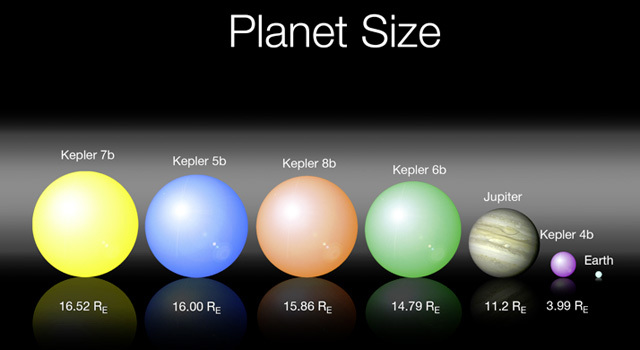 The new planets are called Kepler 4b, 5b, 6b, 7b and 8b and vary in size between four times the diameter of earth to several times the size of Jupiter. While surface conditions are very inhospitable – all the planets have a short orbit (from 3.2 to 4.9 days) around their Suns and temperatures of between 1,200C to 1,600C . The discovery nevertheless increases statistical probabilities that a planet similar to Earth will be found out there and also proves that Telescope Kepler is alive and well and functioning with great precision. Kepler is programmed to study 100,000 stars simultaneously on a continued basis and was designed to be able to look at the equivalent of a small town at night-time and detect an automatic light sensor turned on by a person passing in front of it. Bill Borucki, head of the Kepler mission at the Ames research station in California, states “The temperatures we found on these planets are all higher than molten lava…the hottest two are hotter than molten iron and it’s like looking at a furnace”. Kepler b is the planet that is intriguing scientists at the moment due to the fact that it has the highest density of any planet found outside the Solar System (0.17g/cm2) and has a surface which resembles polystyrene. Previous Previous post: Special services will scan passengers.